I spent almost two months exploring New Zealand’s South Island including a lot of hiking. This gallery is dedicated to the images from the trip. Note that there is also a series of blog posts with my travel report and many more images. The gallery is structured in the order of my trip. 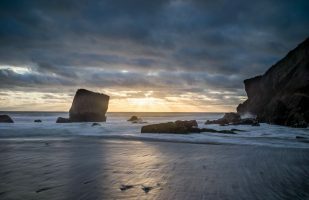 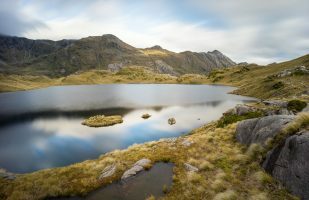 From Christchurch I headed down the east coast and stopped at some well-known touristical hotspots that are also frequented by a lot of landscape photographers. 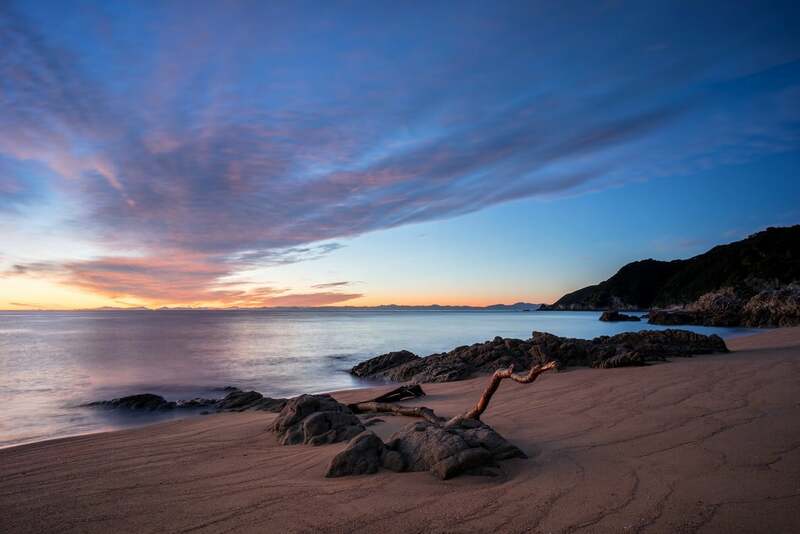 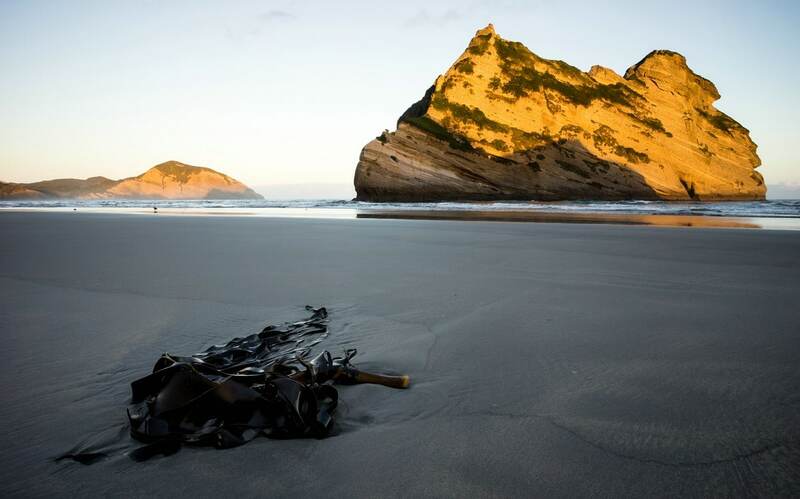 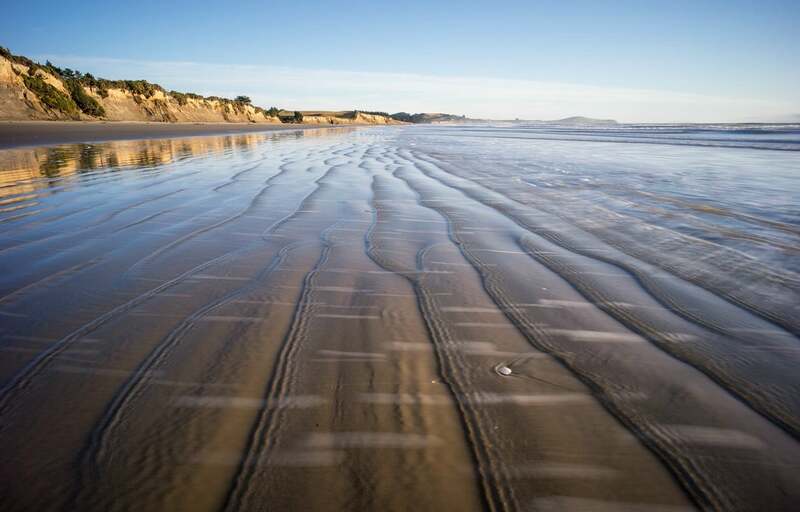 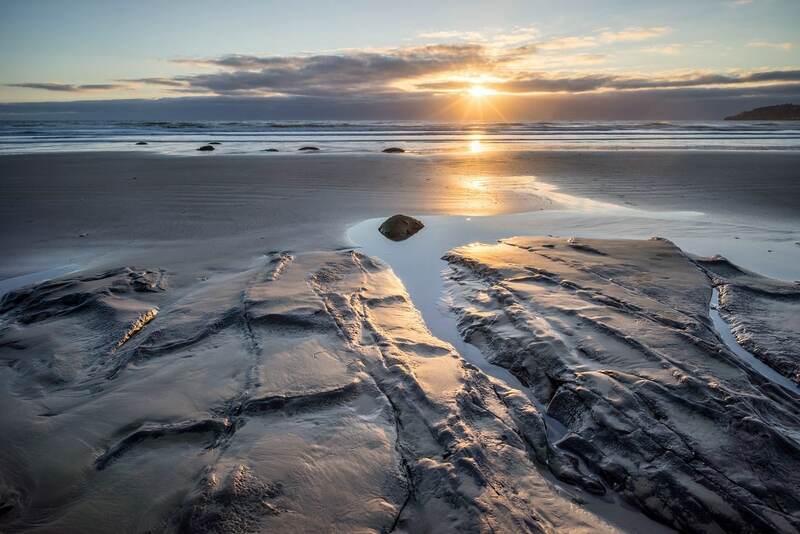 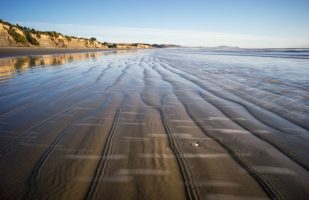 The following images depict the coast near Moeraki (not the boulders! 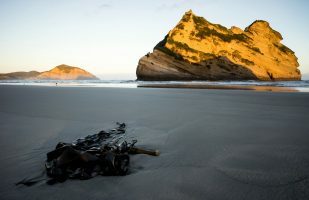 ), Nugget Point, McLean Falls and Curio Bay. 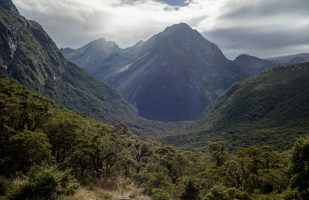 As written in my travel report, I was left disappointed by Milford Sound, however, I really enjoyed the Milford Road and the sights along it. 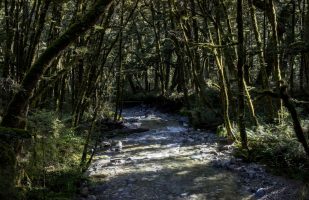 There are a lot of interesting and easily accessible walks starting right next to the road such as the trail to Lake Marian. 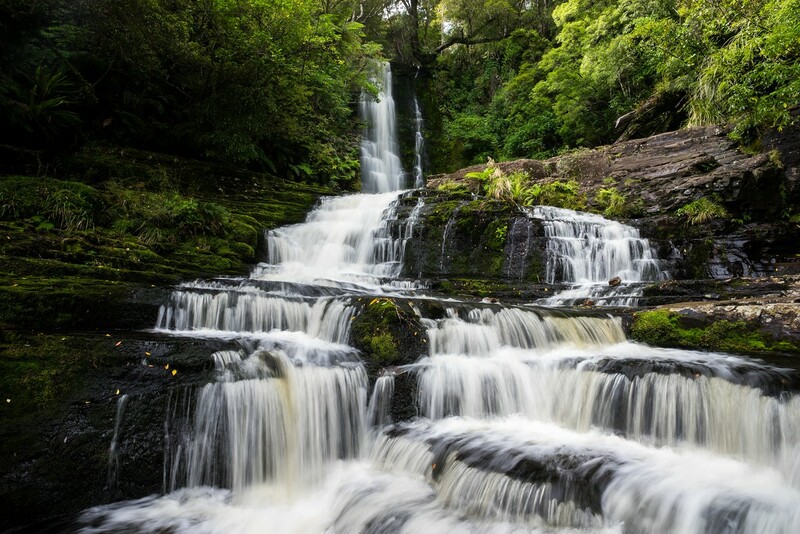 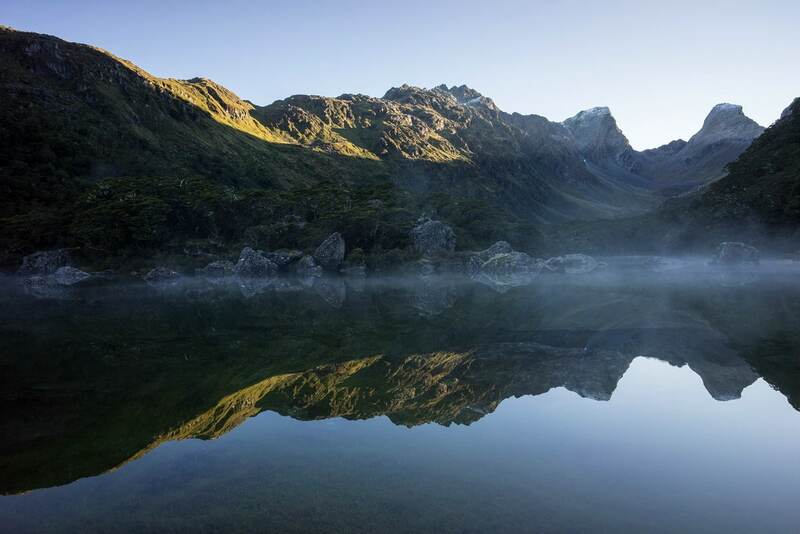 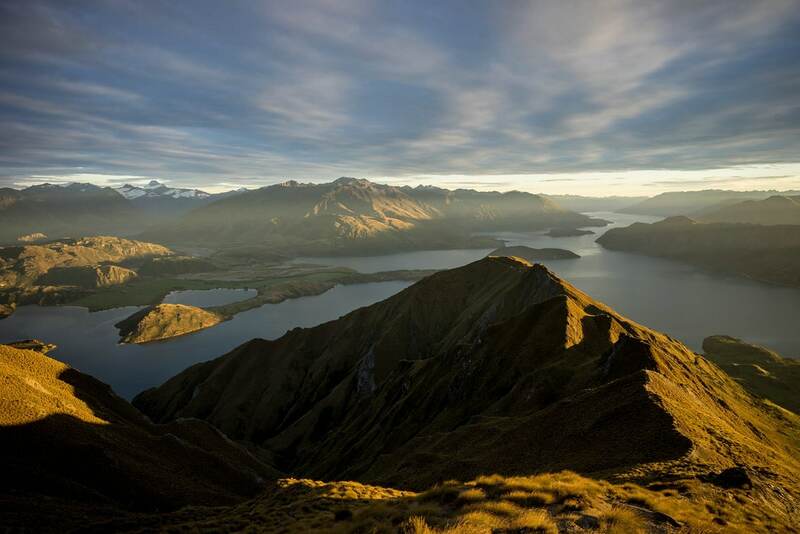 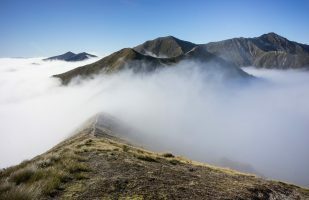 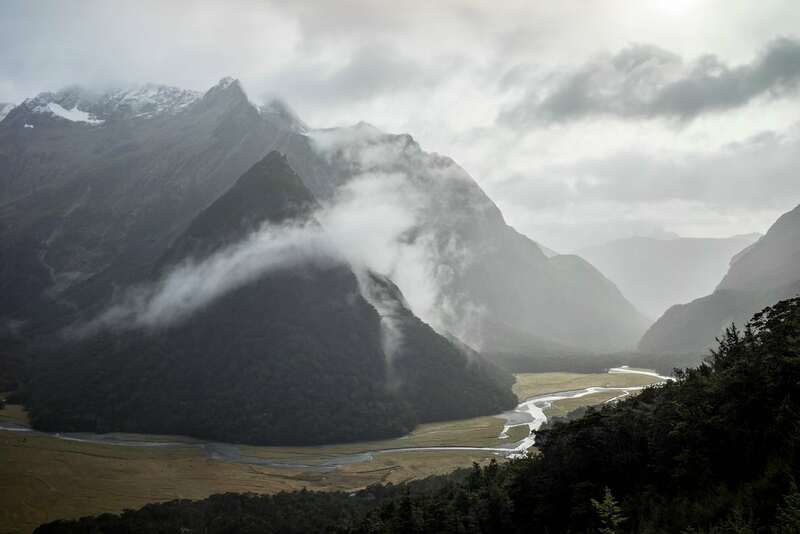 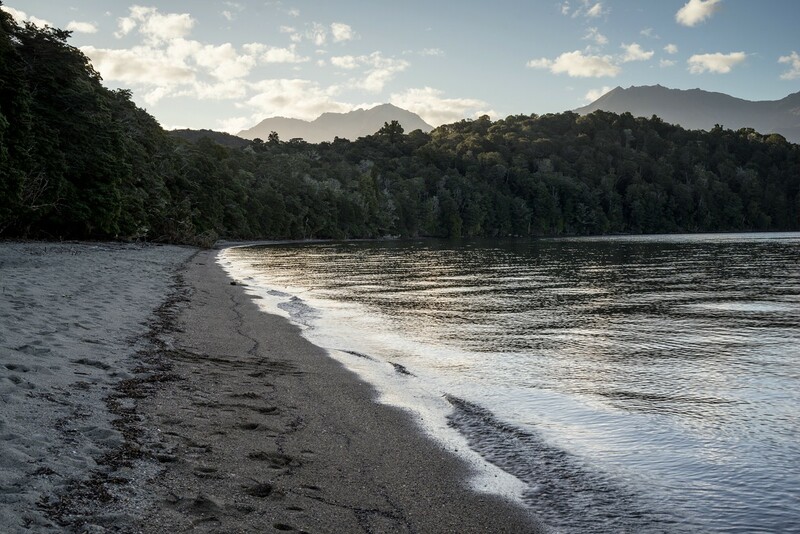 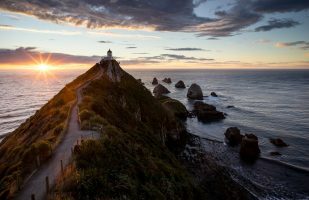 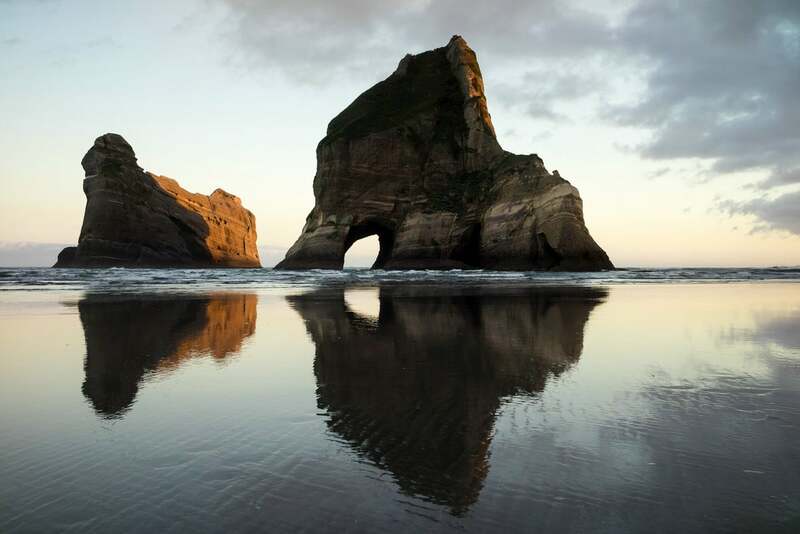 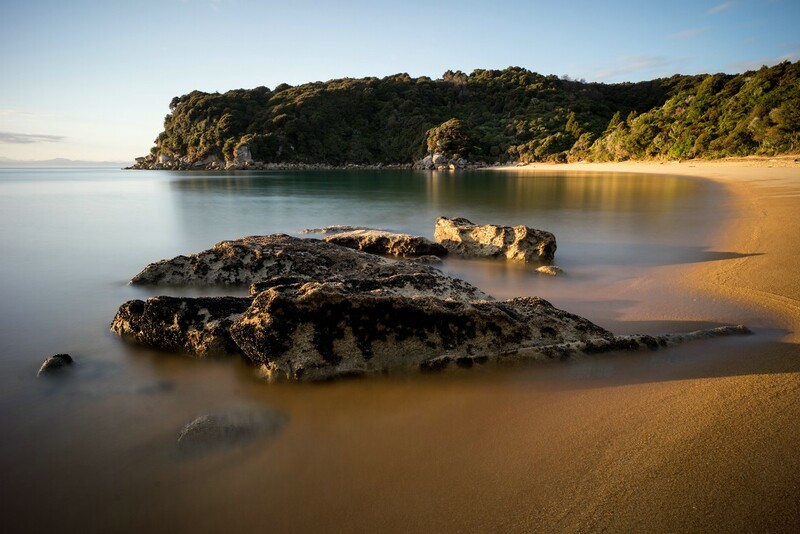 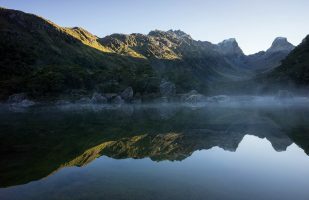 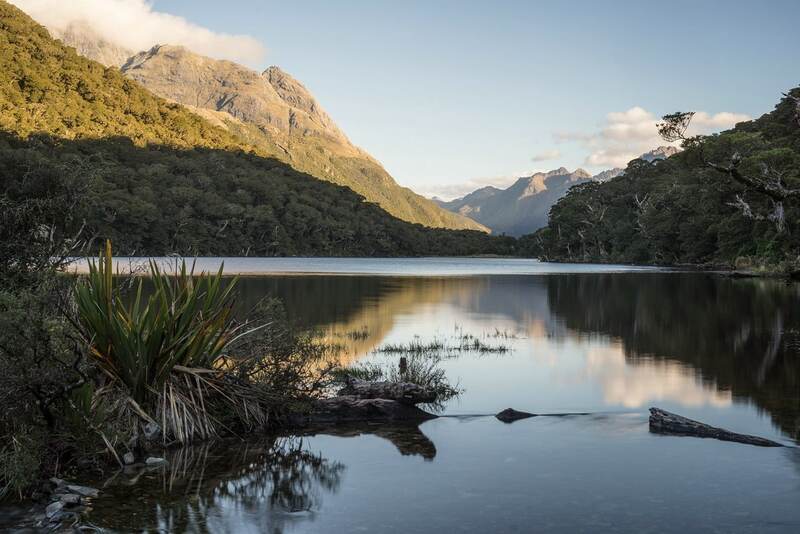 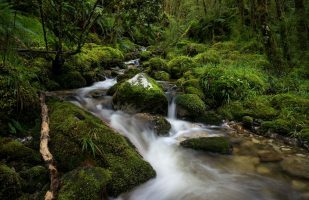 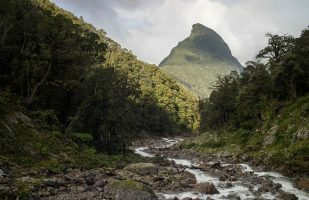 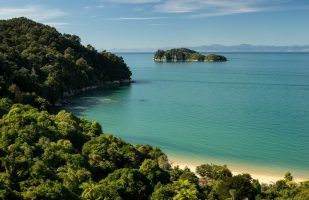 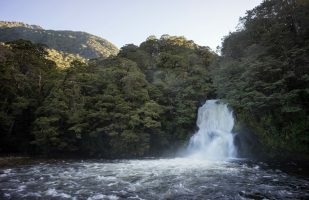 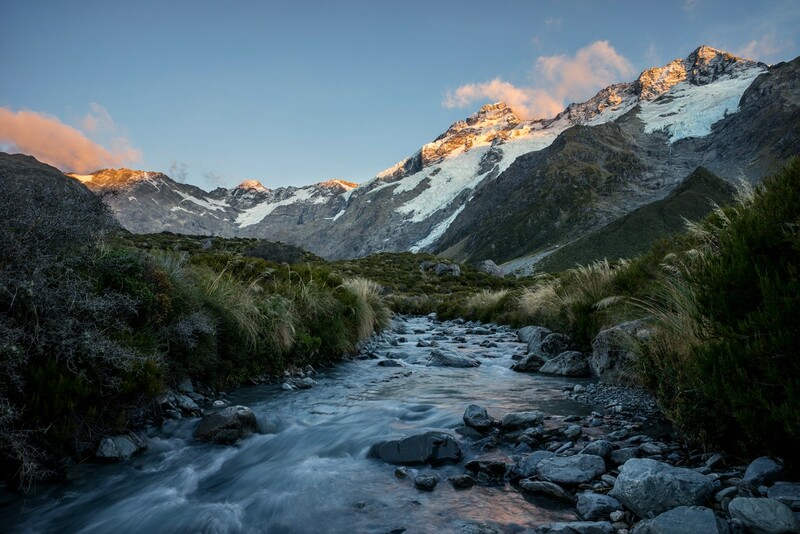 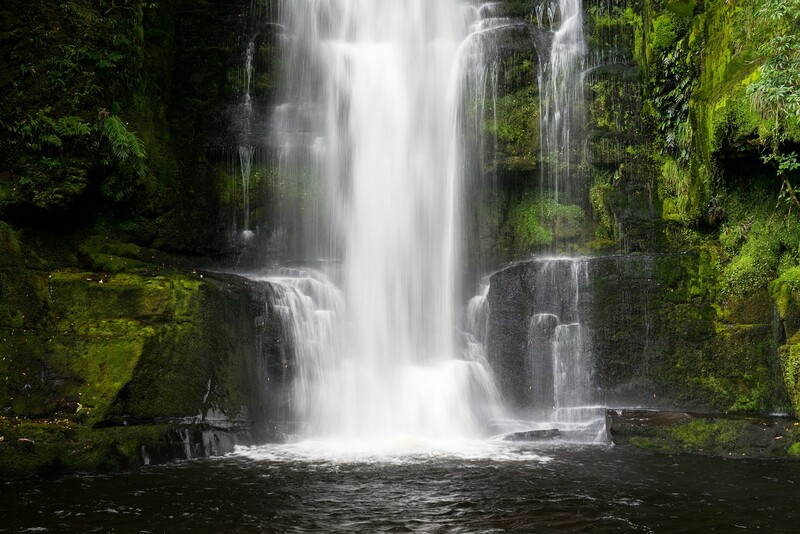 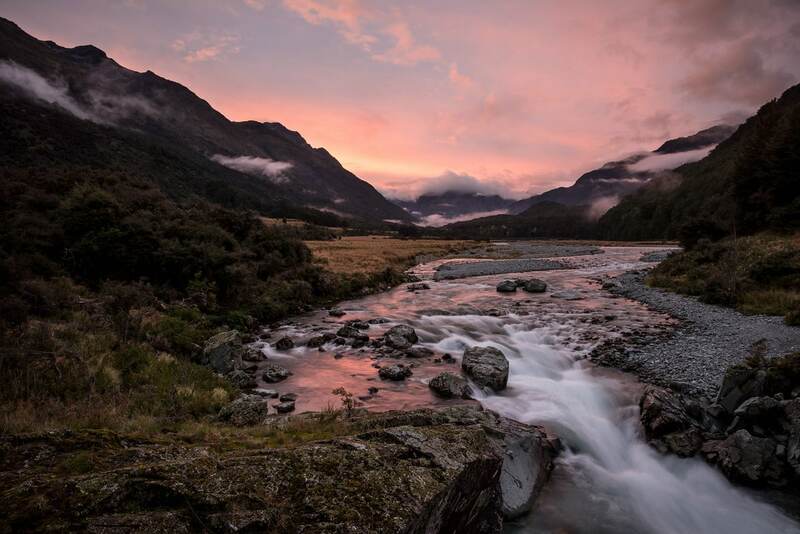 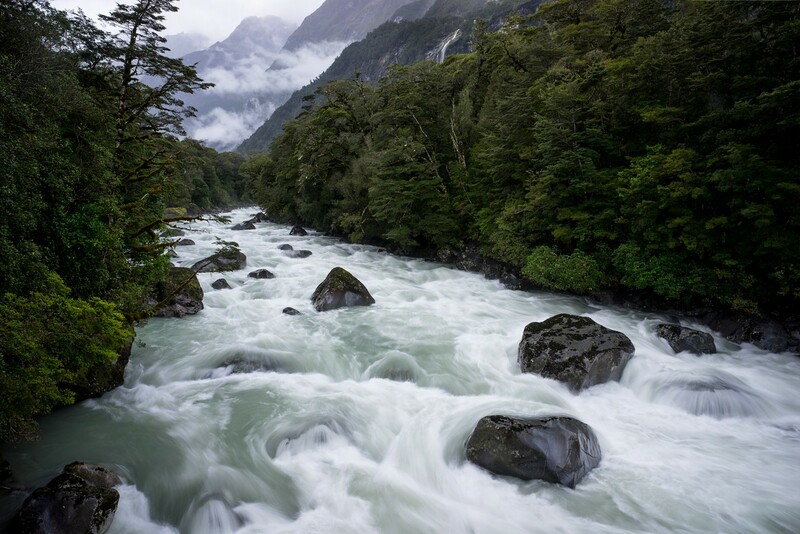 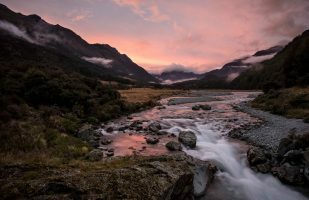 A 3-day hike that is included in New Zealand’s Great Walks that are heavily promoted and thus crowded. 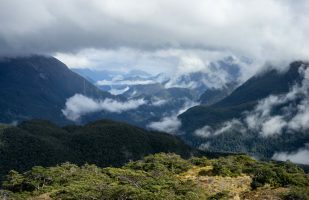 As Kepler Track leads through really beautiful terrain it is still worth the hassle, including the necessity of pre-booked accomodation. 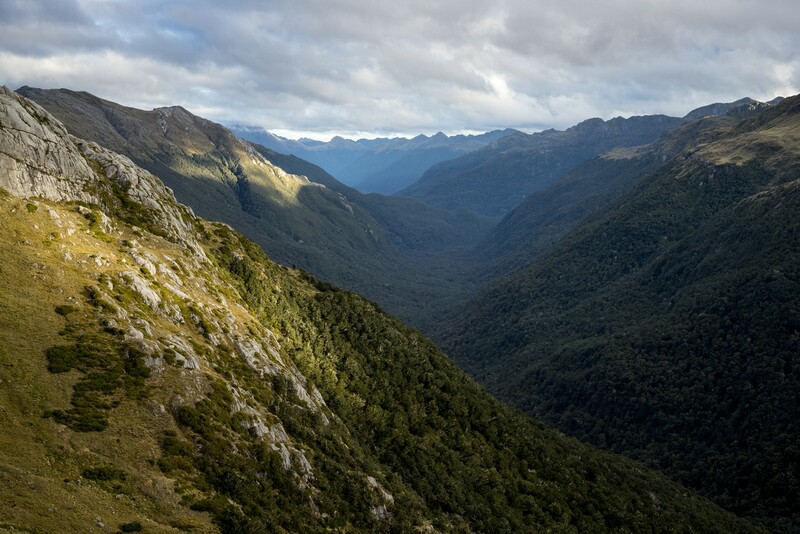 Especially the alpine part of this track is really impressive. 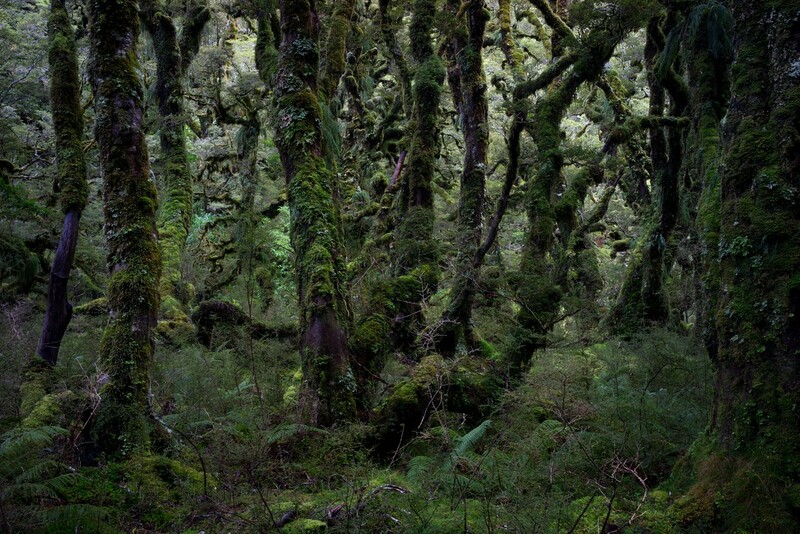 But I also enjoyed the rain forest with its moss-covered tree trunks. 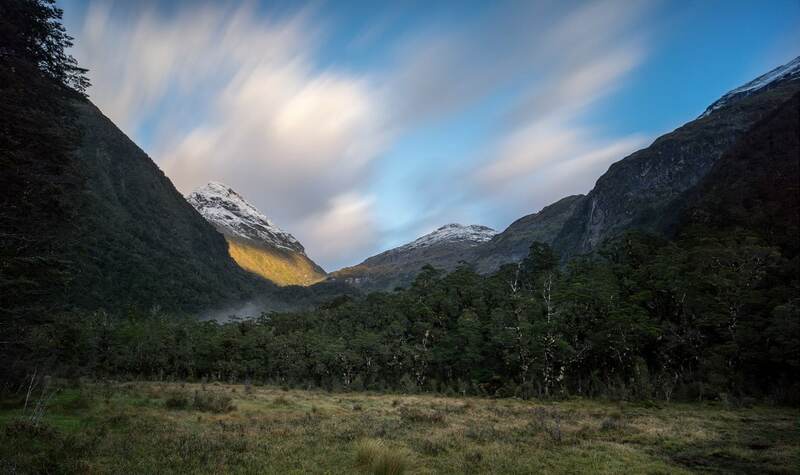 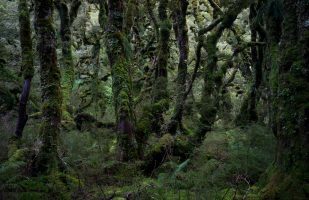 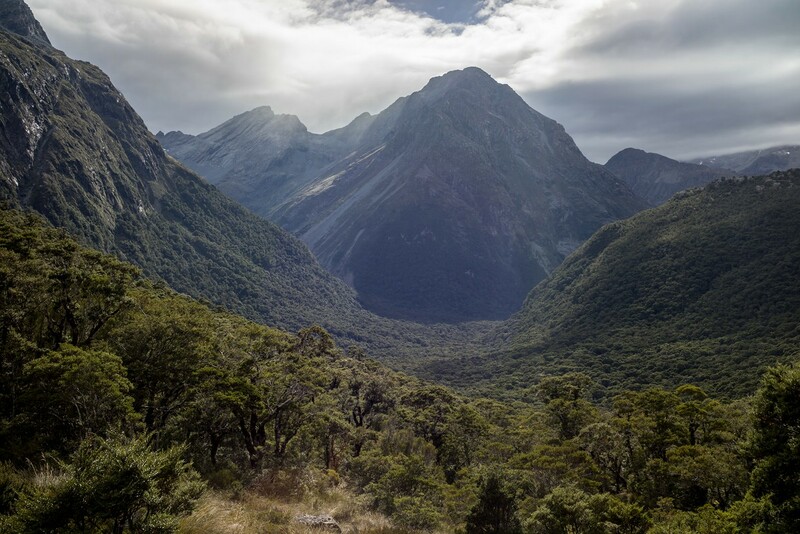 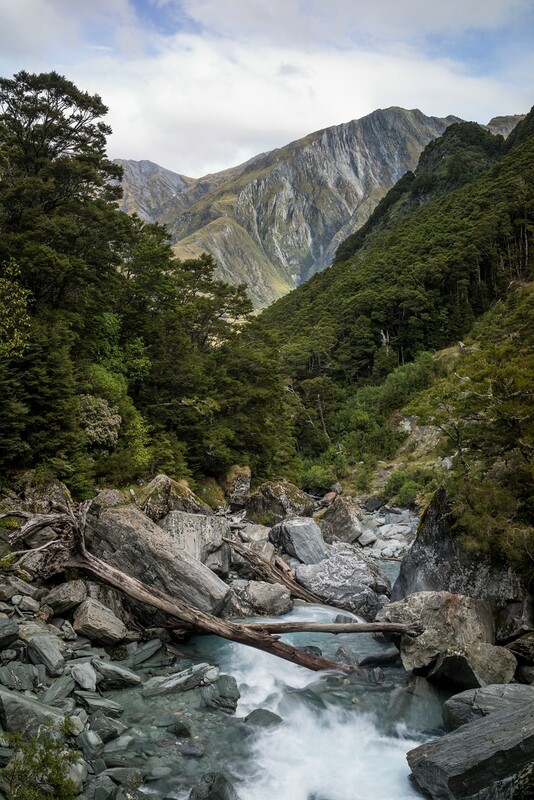 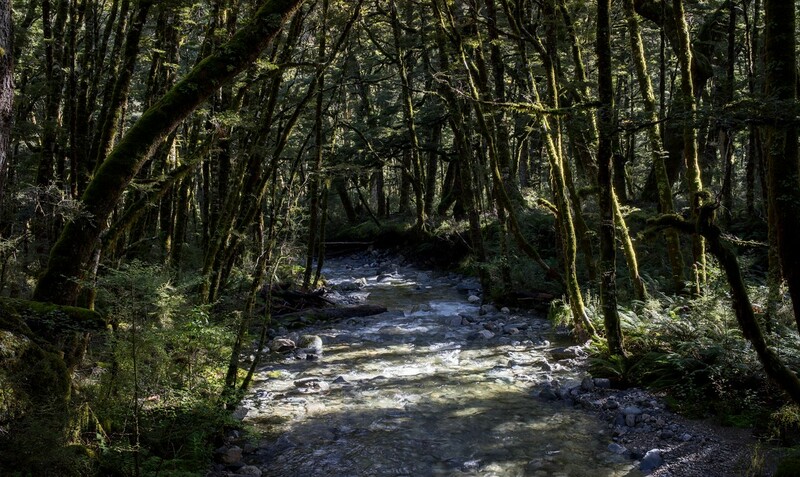 Routeburn Track is another of the Great Walks and can be extended by Greenstone or Caples Tracks to form a loop. 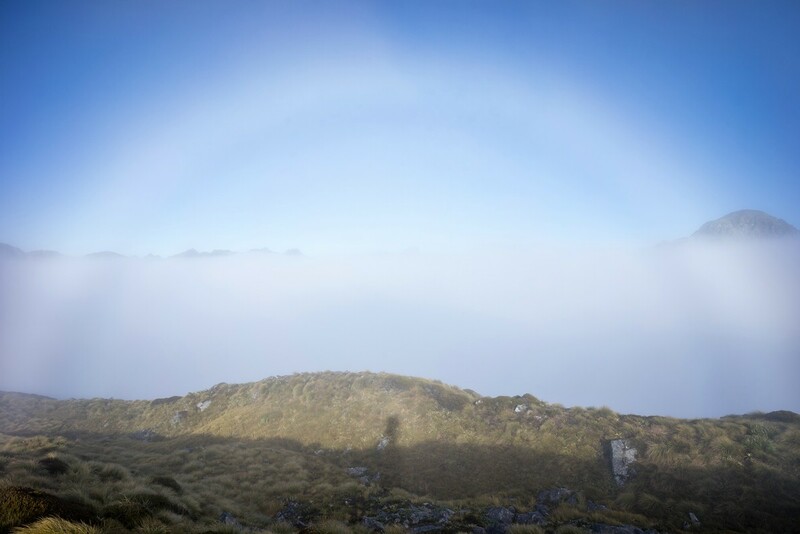 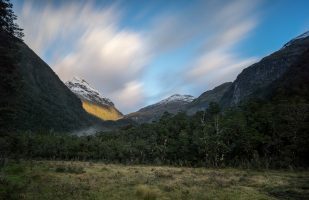 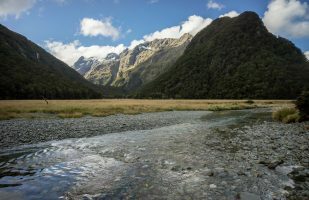 While Routeburn is frequented by many hikers, it is much better with the other two. 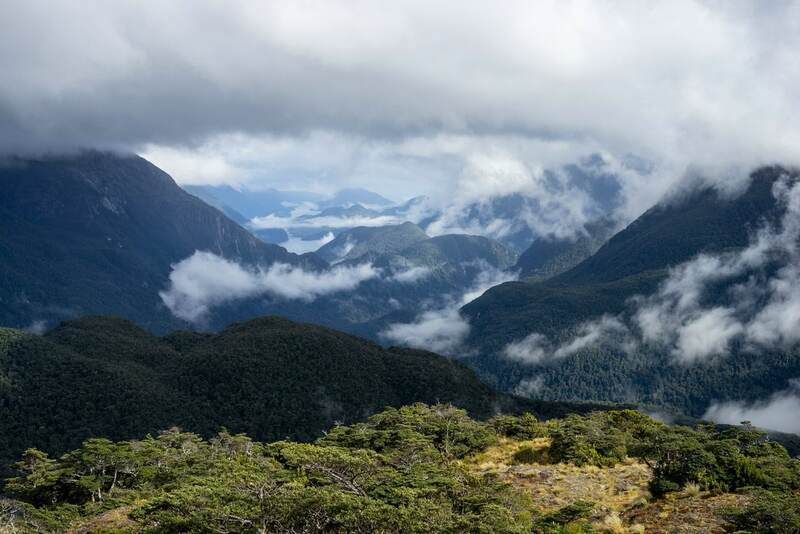 Due to inclement weather the supposedly most beautiful part of Routeburn Track turned out cold and wet and visibility was zero. 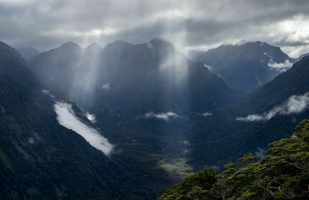 However, I managed to capture some beautiful scenes along the rest of the way. 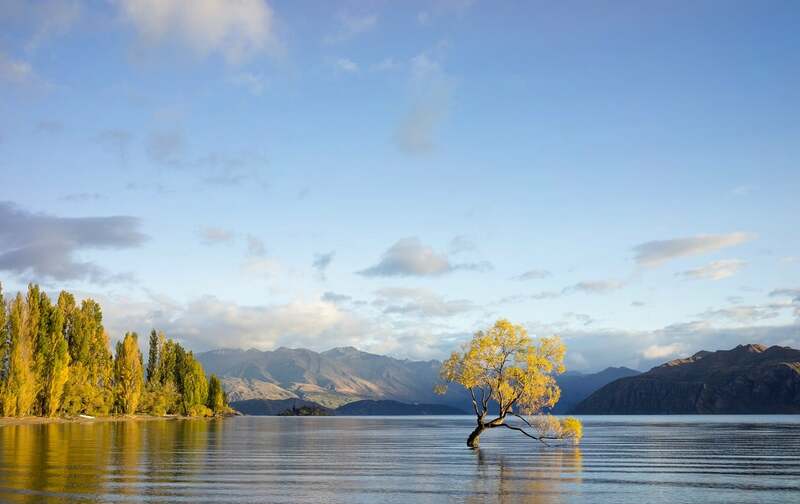 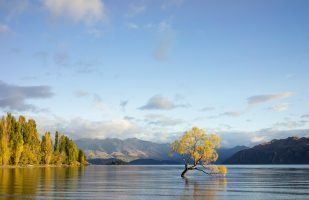 I spent a few days at lake Wanaka and of course also visited the famous tree in the lake – together with a crowd of other tourists and photographers. 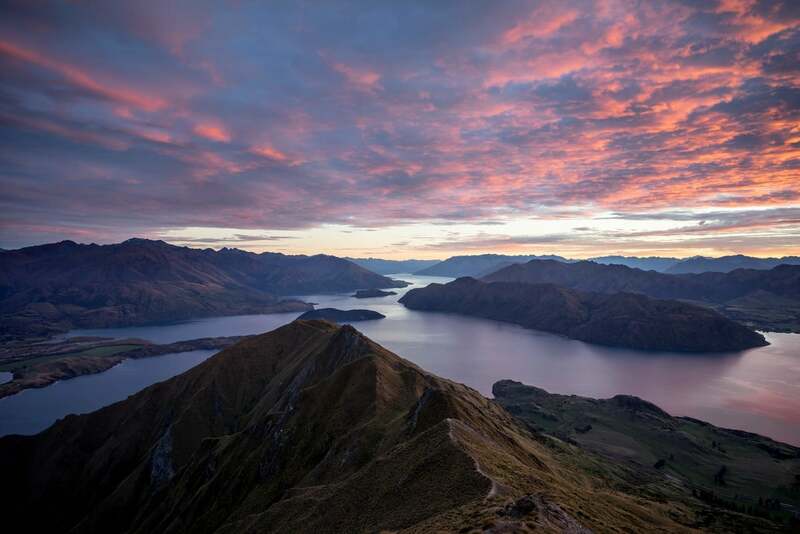 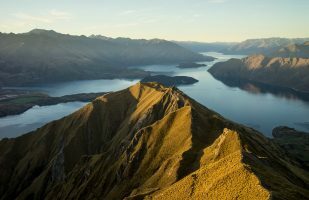 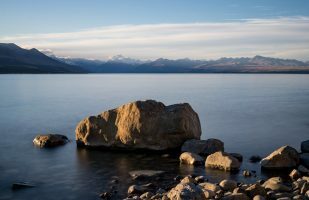 But my personal highlight was the night I spent up on Roys Peak which offers a magnificent view across lake Wanaka and towards Mount Aspiring. 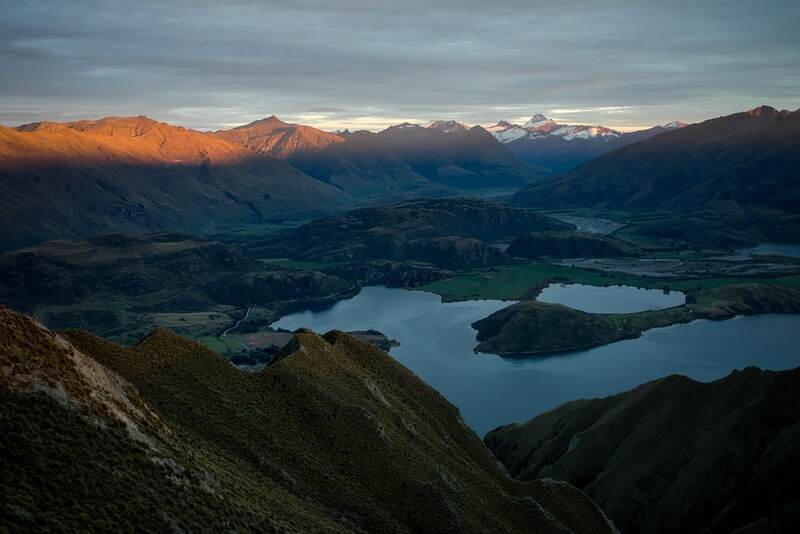 The rising sun cast the landscape in beautiful light. 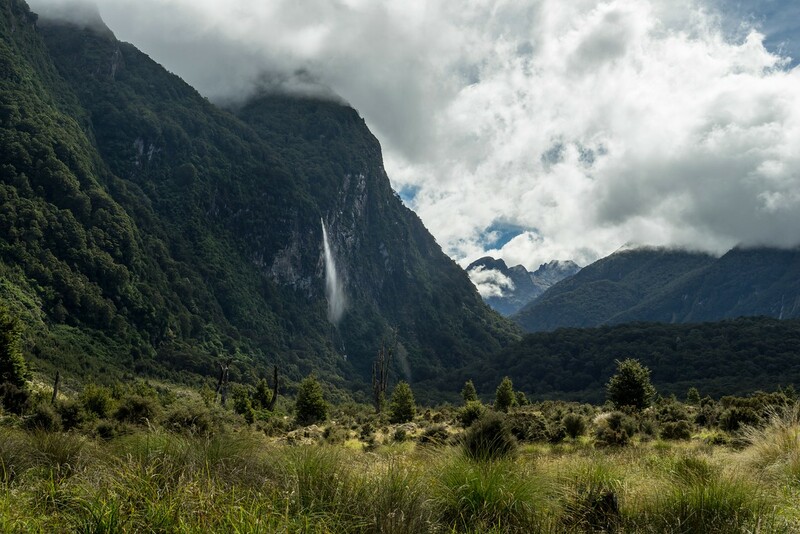 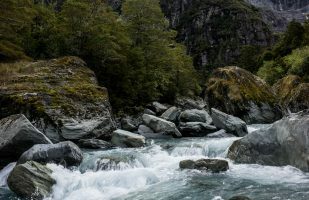 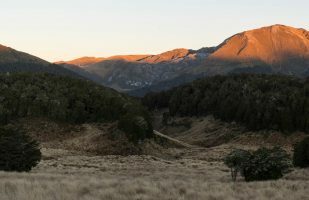 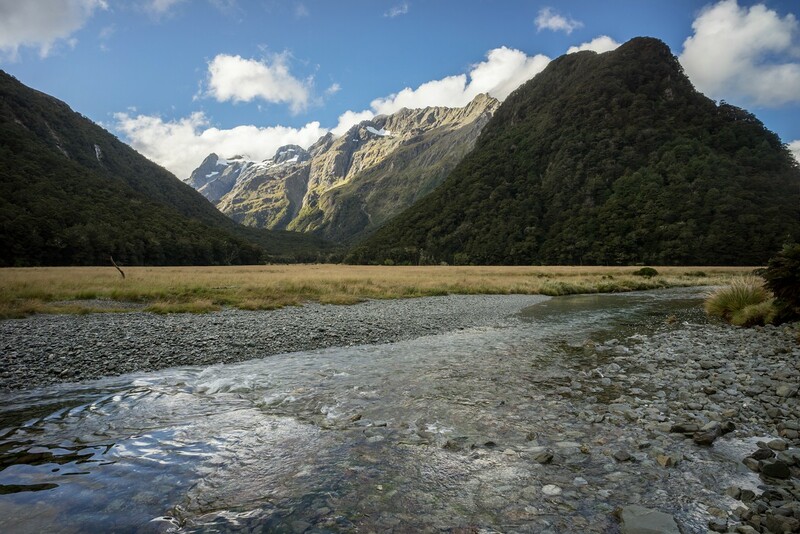 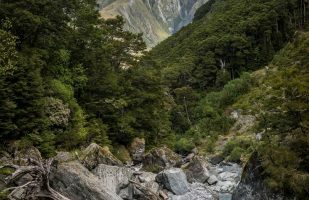 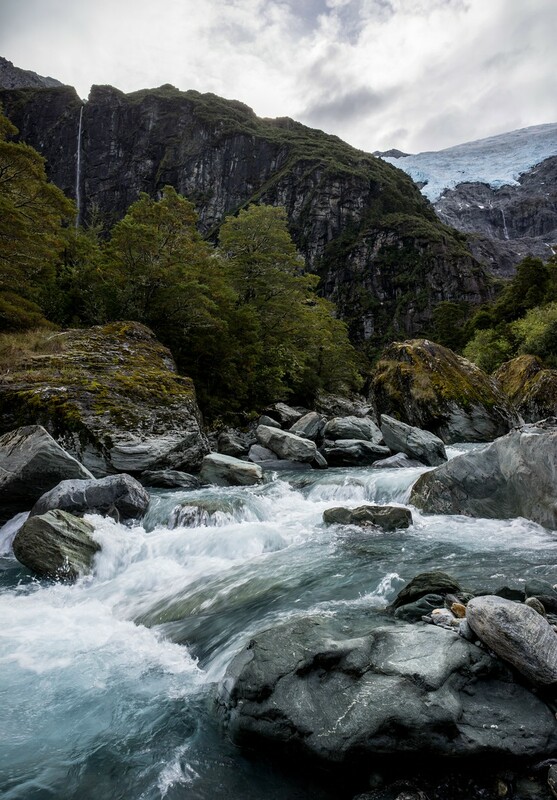 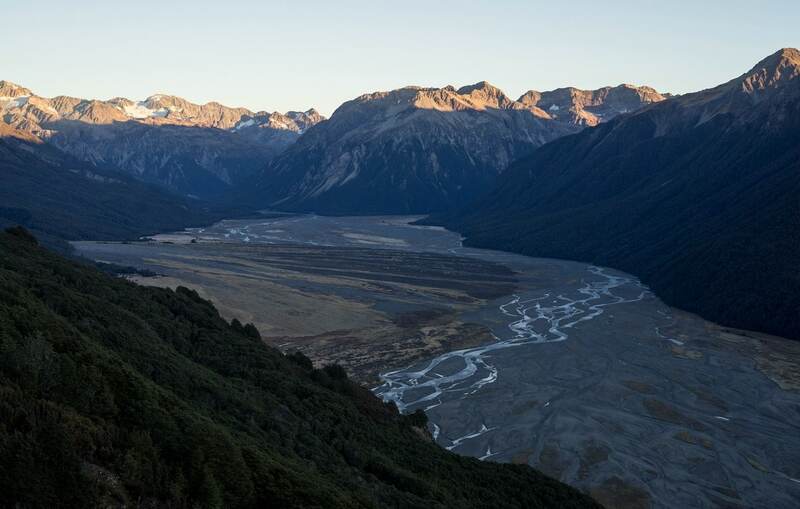 The excursion and hike to the viewpoint of Rob Roy Glacier was interesting as well – but more for the surroundings than the view of the glacier itself. 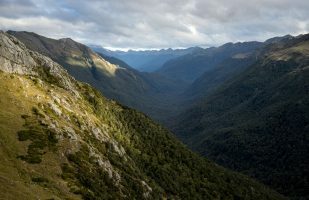 This is one of the not so well-known tracks on New Zealand’s South Island. It is quite remote, one endpoint is only accessible by boat, and it is quite rough and prone to flooding. 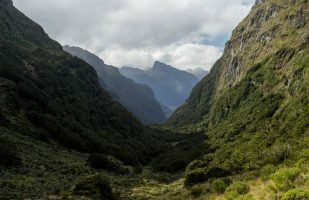 However it is well marked and there are small huts in day-hike distances. 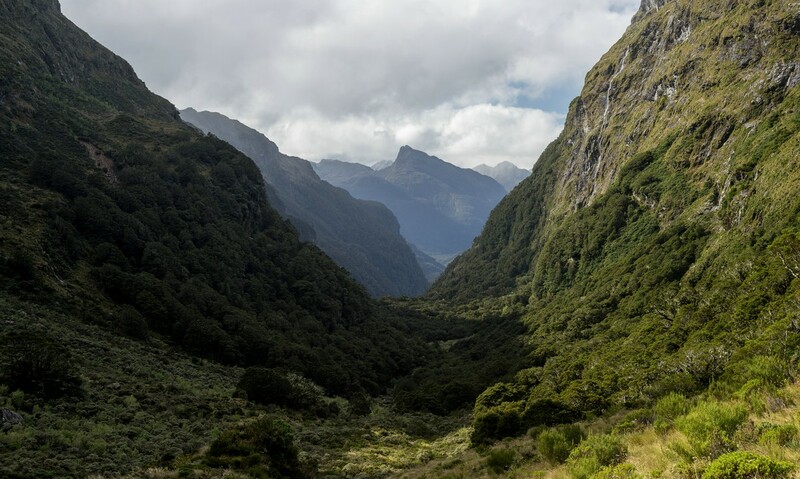 The experience on this track is totally unlike the Great Walks. 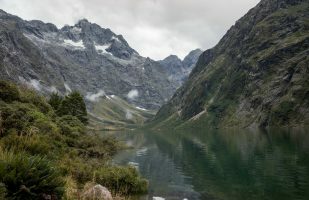 It turned out my favorite hike during my trip (although there was some rough weather and challenging river crossings due to the rain). Of course, there were many other interesting sights throughout the rest of my trip. 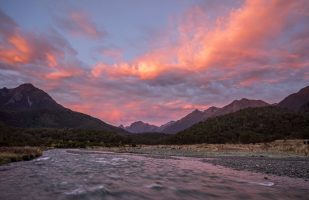 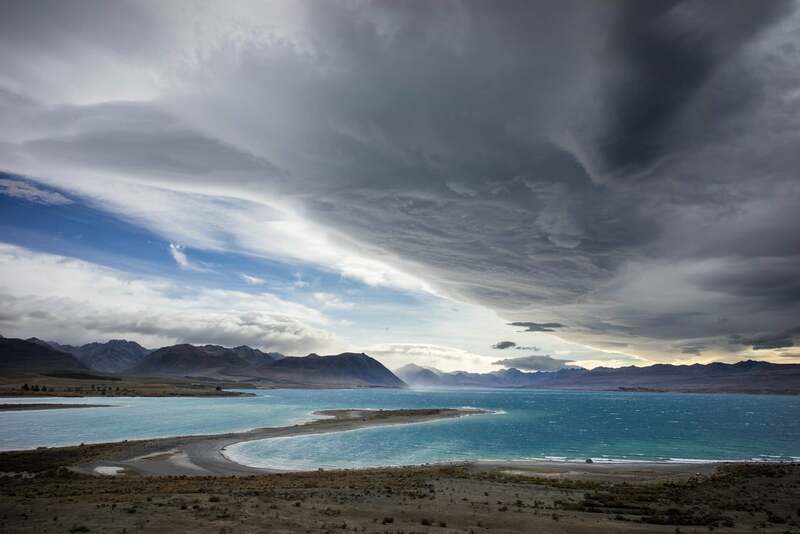 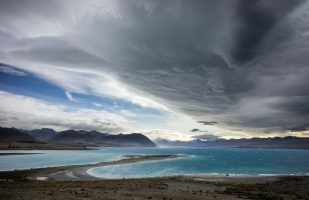 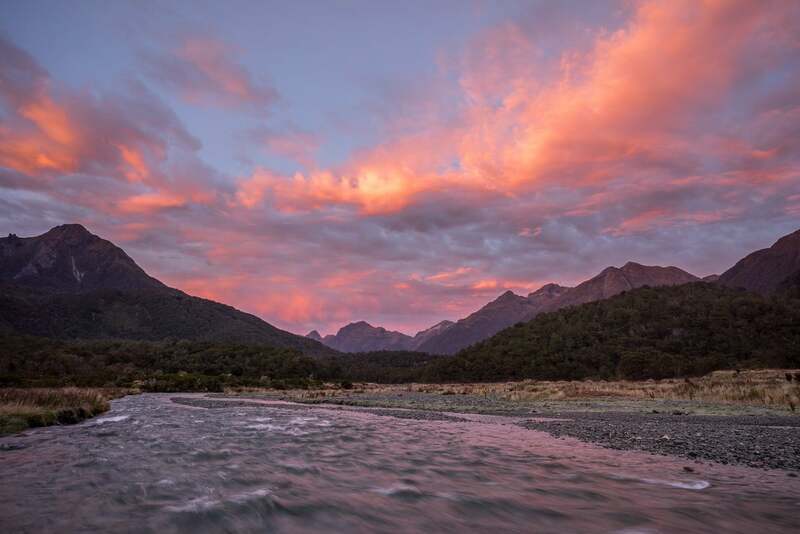 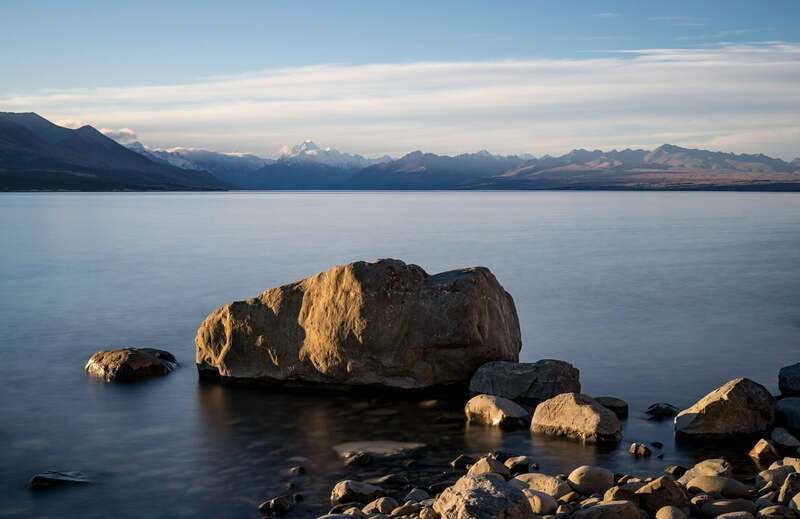 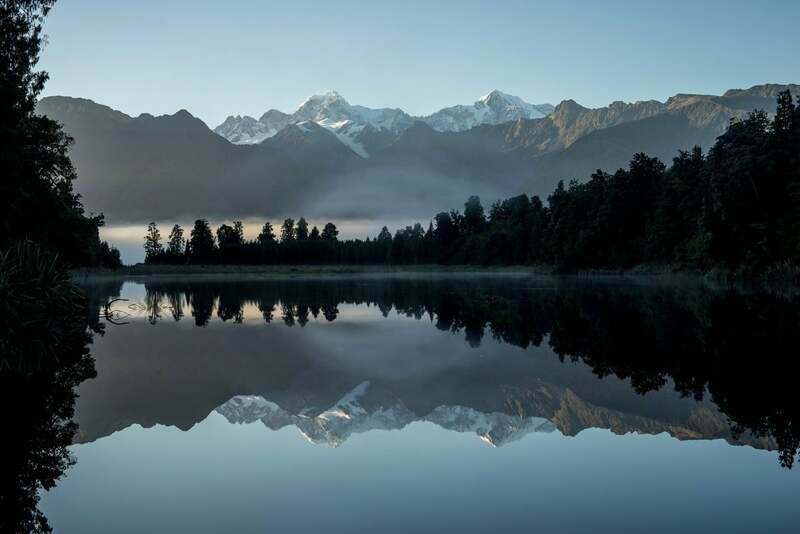 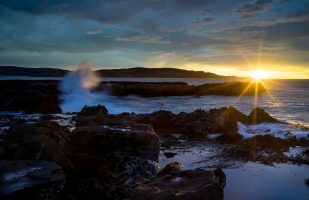 In the following you will find a selection of images from the West Coast, Abel Tasman and Karuhangi national parks, the lakes Tekapo and Pukaki, the Mount Cook area, and Arthur’s Pass.